The FIA Formula One World Championship, known worldwide as Formula One, is the highest class of single seat auto racing that is sanctioned by Fèdèration International de L’Automobile. Begun in 1950 and currently run by the Formula One Group headed up by Bernie Ecclestone, it is the fastest road course racing sport in the world, with cars able to reach speeds of 320km/h. It is the most popular form of motor racing in the world. This historic sports racing began in Silverstone, England in 1950, the 2017 Formula One racing season is held over 20 circuits, beginning in Australia’s Albert Park Circuit in Melbourne and finishing at Abu Dhabi’s Yas Marina Circuit in November. The 2017 Formula One season is contested by eleven teams, the most famous of which being Mercedes, Ferrari, Renault, Honda and Mclaren. Mercedes enter the 2017 season as defending champions of the Constructor’s Championship, following a season in which Lewis Hamilton ascended to the top of the sport again, winning the driver’s championship. Germany’s Michael Schumacher is the most successful driver in the sport’s history. 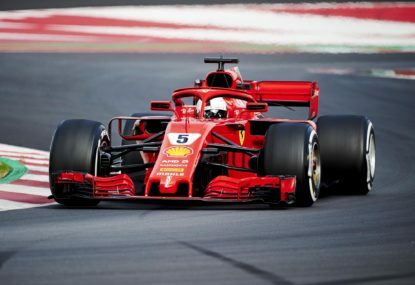 He won the Formula One Championship a record seven times (94, 95, 2000, 01, 02, 03, 04) with Italian powerhouses Ferrari, that was Ferrari’s most successful spell after he joined in 1996. He first won the Formula One Driver’s Championship in 1994 with the Benetton team. The Triple Crown of Formula One is an unofficial achievement regarded as winning the most prestigious motor races in the world in one’s career. British driver, Graham Hill is the only driver to complete the Triple Crown, winning the 24 Hours of Le Mans, the Monaco Grand Prix and F1 Driver’s Championship. His Triple Crown was completed on June 11 in 1972. Of the 32 drivers who have won the Driver’s Championship in it’s 65-year history, three were Australian, with Sir Jack Brabham winning the Championship in 1959, 1960 and 1966. Danny Hulme won in 1967, and Alan Jones in 1980 was the most recent Australian winner.